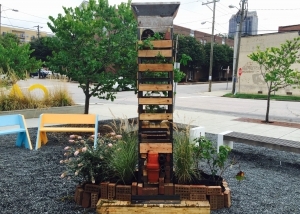 The 2015 Our City: Raleigh Fair was a four-day celebration of new public design projects produced in conjunction with the Hopscotch Design Festival, hosted in Raleigh for the second time on September 9-10, 2015, and Hopscotch Music, from September 10-12, 2015. 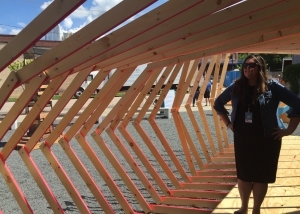 Over the course of the event, thousands of Raleighites, visitors, and civic innovators experienced and responded to the installations – with the goal of inspiring more permanent work that reimagines the future of the city’s downtown. Our City staff supported three teams of local artists and designers in creating new public design projects that responded to local needs. 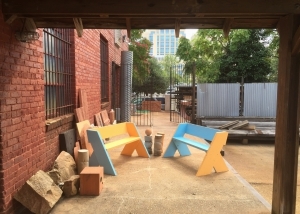 They were on public display outside CAM Raleigh for the duration of both Hopscotch Festivals – including a public block party on the evening of Wednesday, September 9. A relaxing and movable collection of seats for anyone to watch the city go by. A modular habitat that allows for multiple, creative applications. 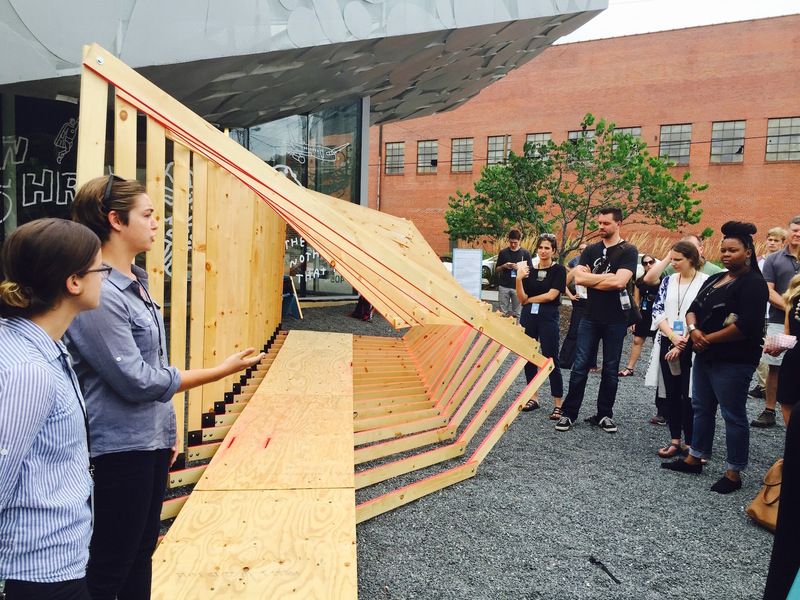 A pavilion that inspires people to actively shape their urban environment. Our City is a national nonprofit that brings people together to build things that improve cities. We work with city agencies, cultural institutions, universities, companies, and residents to create workshops, events, installations, and consulting services that transform communities. Our City Network is a California nonprofit organization, with 501(c)(3) status provided via fiscal sponsorship of Flux Foundation.